Home > Latter-day Saint Blog Posts > What Does the Book of Mormon Teach about the Priesthood? The importance of the priesthood is firmly demonstrated throughout the Book of Mormon. For Book of Mormon authors, this divine authority was necessary to preach the gospel, to organize and establish the Lord’s church, and to perform sacred priesthood ordinances. Early in the Book of Mormon, Nephi declared that “the Holy Ghost giveth authority that I should speak these things, and deny them not” (1 Nephi 10:22). The sons of Mosiah “taught with power and authority of God” (Alma 17:3). Mormon taught his people with “boldness, having authority from God” (Moroni 8:16). And Moroni challenged skeptical readers: “if I have no authority for these things, judge ye; for ye shall know that I have authority when ye shall see me, and we shall stand before God at the last day” (Ether 5:6). These are just a few examples which demonstrate that divine authority to speak the mind and will of the Lord is a key doctrine in the Book of Mormon. Book of Mormon prophets clearly linked priesthood authority with the establishment of Christ’s church.1 Alma the Elder, who established a congregation of Christian believers at the Waters of Mormon, was a “high priest, he being the founder of their church” (Mosiah 23:6). As the presiding high priest, Alma “consecrated all their priests and all their teachers,” and “none received authority to preach or to teach except it were by him from God” (v. 17).2 Similarly, when Jesus visited the people at Bountiful, He gave “power and authority” to twelve disciples, admonishing the people to “give heed unto the words of these twelve whom I have chosen from among you” (3 Nephi 12:1). The Book of Mormon shows that authority was also necessary to perform saving priesthood ordinances. King Limhi and his people had to wait before they could be baptized because “there was none in the land that had authority from God” (Mosiah 21:33). 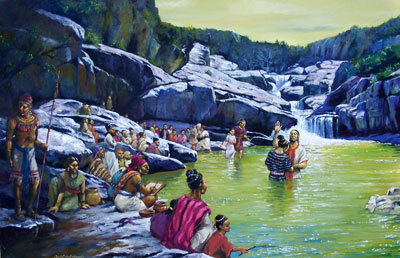 When Alma baptized at the Waters of Mormon, he made sure to declare that he did so “having authority from the Almighty God” (Mosiah 18:13). Similarly, Jesus explicitly and publicly gave his disciples power to baptize (see 3 Nephi 12:1) and also to “give the Holy Ghost” (3 Nephi 18:37). Elder Russell M. Nelson has explained that “Priesthood authority has existed in many dispensations” and that our dispensation “will host a whole, complete, and perfect union, welding together dispensations, keys, powers, and glories from the days of Adam even to the present time.”7 Studying the priesthood in the Book of Mormon can therefore help give clarity and understanding to priesthood keys and authority in the current dispensation. Better than any other body of scripture, the Book of Mormon shows how the priesthood was organized and how it functioned in a former dispensation. Thus by carefully studying it and comparing it to the current dispensation, readers can better understand which aspects of the priesthood are adaptable for different times and circumstances,16 and which are “without beginning of days or end of years, being prepared from eternity to all eternity” (Alma 13:7). Elder Gary E. Stevenson, “Where Are the Keys and Authority of the Priesthood?” Ensign, May 2016, 29–32, online at lds.org. Elder Walter F. González, “Becoming More Powerful Priesthood Holders,” Ensign, November 2009, 50–52, online at lds.org. Elder Jeffrey R. Holland, “Our Most Distinguishing Feature,” Ensign, May 2005, online at lds.org. 1. For a discussion of the various Nephite churches, see Rodney Turner, “The Three Nephite Churches of Christ,” in The Keystone Scripture, ed. Paul R. Cheesman, The Book of Mormon Symposium Series, Volume 1 (Provo, UT: Religious Studies Center, Brigham Young University, 1988), 100–126. 2. See Book of Mormon Central, “Why Does the Book of Mosiah Talk So Much about Priesthood Authority? (Mosiah 23:17),” KnoWhy 101 (May 17, 2016). 4. 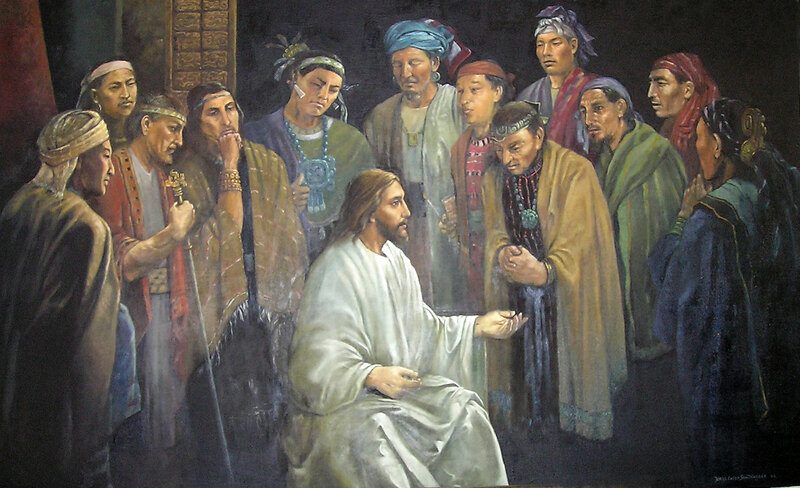 Regarding the ordination to callings within the priesthood, following the practice shown the disciples in Bountiful, Moroni recorded: “The manner which the disciples, who were called the elders of the church, ordained priests and teachers—After they had prayed unto the Father in the name of Christ, they laid their hands upon them, and said: ‘In the name of Jesus Christ I ordain you to be a priest (or if he be a teacher, I ordain you to be a teacher) to preach repentance and remission of sins through Jesus Christ, by the endurance of faith on his name to the end. Amen.’ And after this manner did they ordain priests and teachers, according to the gifts and callings of God unto men; and they ordained them by the power of the Holy Ghost, which was in them” (Moroni 3:1–4). 6. For further discussion of how Moroni completed his father’s record, see Book of Mormon Central, “Why Did Moroni Keep Writing? (Moroni 2:3),” KnoWhy 249 (December 9, 2016). 7. Elder Russell M. Nelson, “Personal Priesthood Responsibility,” Ensign, November 2003, online at lds.org. 8. It should also be noted that these essential priesthood functions are intimately connected to the doctrine of Christ. They authoritatively teach and facilitate faith in the Lord Jesus Christ, repentance, baptism for the remission of sins, the reception and gifts of the Holy Ghost, and enduring unto the appointed end. 10. John W. Welch, The Legal Cases in the Book of Mormon (Provo, UT: BYU Press and Neal A. Maxwell Institute for Religious Scholarship), 33–47; Lauri Hlavaty, “The Religion of Moses in the Book of Mormon,” in Jacob through Words of Mormon, To Learn with Joy, ed. Monte S. Nyman and Charles D. Tate Jr., The Book of Mormon Symposium Series, Volume 4 (Provo, UT: Religious Studies Center, Brigham Young University, 1990), 103–124. 11. See Robert L. Millet, “The Holy Order of God,” in Alma, The Testimony of the Word, ed. Monte S. Nyman and Charles D. Tate, Jr., The Book of Mormon Symposium Series, Volume 6 (Provo, UT: Religious Studies Center, Brigham Young University, 1992), 62–63: “Because there were no Levites in the colony of Lehi (the Nephites and Mulekites were of the tribes of Joseph and Judah, respectively), we assume that the Aaronic Priesthood was not among the Nephites, at least not until the coming of Jesus to the Americas. The titles priests and teachers thus appear to describe ministerial duties in the higher priesthood rather than offices in the Aaronic Priesthood.” For further discussion of priesthood offices, ordinations, and organization in the Book of Mormon, see Daniel C. Peterson, “Priesthood in Mosiah,” in Mosiah, Salvation Only Through Christ, ed. Monte S. Nyman and Charles D. Tate, Jr., The Book of Mormon Symposium Series, Volume 5 (Provo, UT: Religious Studies Center, Brigham Young University, 1991), 187–210; Daniel C. Peterson, “Authority in the Book of Mosiah,” FARMS Review 18, no. 1 (2006): 149–185. 12. Naturally, no two languages will share exactly equivalent terms, so any translation of priesthood-related prayers and ordinances will have unavoidable variation. However, the wording of priesthood ordinances has even varied during different times in the same dispensation, and when revealed in the same language. For a treatment of the variations of the sacramental prayers in the Book of Mormon, see John W. Welch, “From Presence to Practice: Jesus, the Sacrament Prayers, the Priesthood, and Church Discipline in 3 Nephi 18 and Moroni 2–6,” Journal of Book of Mormon Studies 5, no. 1 (1996): 120–129. See Scott H. Faulring, “The Book of Mormon: A Blueprint for Organizing the Church,” Journal of Book of Mormon Studies 7, no. 1 (1998): 66–69 for variations in the wording for baptisms, ordinations, and the sacrament. 14. Turner, “The Three Nephite Churches of Christ,” 100. 15. History, 1838–1856, volume D-1, p. 3, online at josephsmithpapers.org. 16. It should be noted, however, that even though a feature of the priesthood may be adaptable, its modification can only be justifiably carried out when approved by the Lord through his authorized servants. 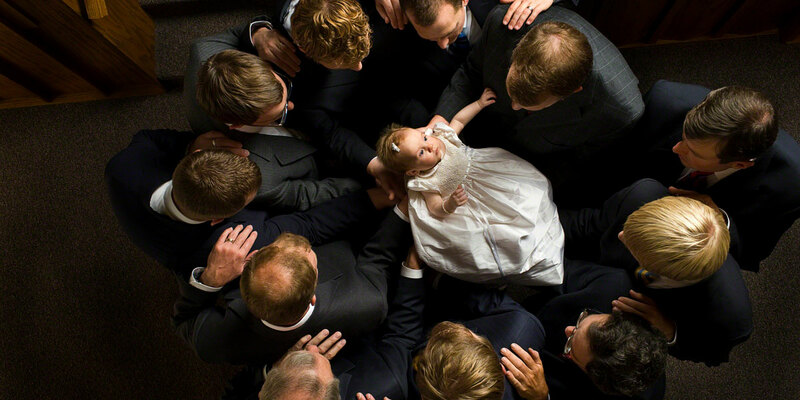 See Book of Mormon Central, “Why Did Moroni Include Mormon’s Condemnation of Infant Baptism? (Moroni 8:12),” KnoWhy 253 (December 15, 2016). Book of Mormon Central : What Does the Book of Mormon Teach about the Priesthood?